In Adobe Photoshop uses a standard set of system fonts. They are not always enough to place the image on your own taste. For such cases, the developers provided the ability to add custom fonts, and beginners are at first difficult to understand how and where to install them. Close the graphic editor and prepare the file with the fonts that you want to add in Photoshop. Make sure you remember what folder they are in. If the fonts or sets of fonts have been archived, unzip the archives. Files must have the extension .or otf .ttf. Select the menu start the item "control Panel". This will open a new dialog box. If control panel is displayed in the categories, select "appearance and themes". Note the small panel in the upper left part of the window displays additional folders in this category. Click the left mouse button on the icon "Fonts". If control panel is in classic view, select the Fonts folder immediately. Navigate to the folder where the files are custom fonts, which you want to add in Photoshop. Select the desired font, copy them to the clipboard. Switch to previously open the folder "Fonts" and paste the copied files. After that you can start the graphic editor and to work with the new fonts. Remember that when you reinstall the OS in the Fonts folder will only have a standard set of fonts. In order not to lose the newly installed custom samples, duplicate folder with them on any drive besides the one on which you installed the system. If you do not plan to use these fonts, you can delete the folder with them. To create a label in Adobe Photoshop, select the Text tool by clicking on the toolbar button with the letter [T], or press the keyboard shortcut Shift + T. place the cursor on the canvas, type the text, select it and expand the list of font styles at the top of the window. Locate the name of the newly downloaded font and click on it with the left mouse button, the font style of the selected text will change. 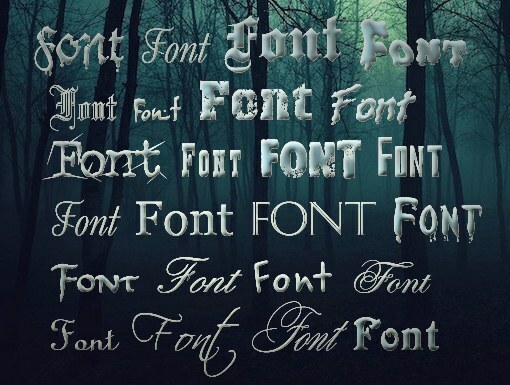 Downloaded custom fonts will be available only in Adobe Photoshop and all other programs that change the font style.